DBX converter wizard to migrate multiple Outlook Express DBX files to PST in batch with attachments. If a user wants then, he can add multiple DBX one-by-one or add the folder containing all DBX files to move them in batch. 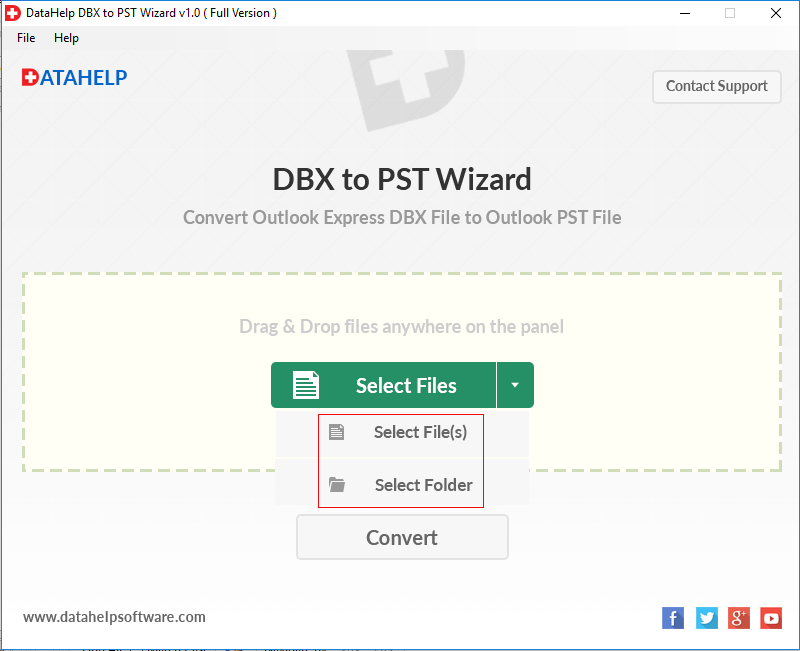 User can creates a separate PST file for each DBX file (inbox.dbx, outbox.dbx, sentbox.dbx, etc). 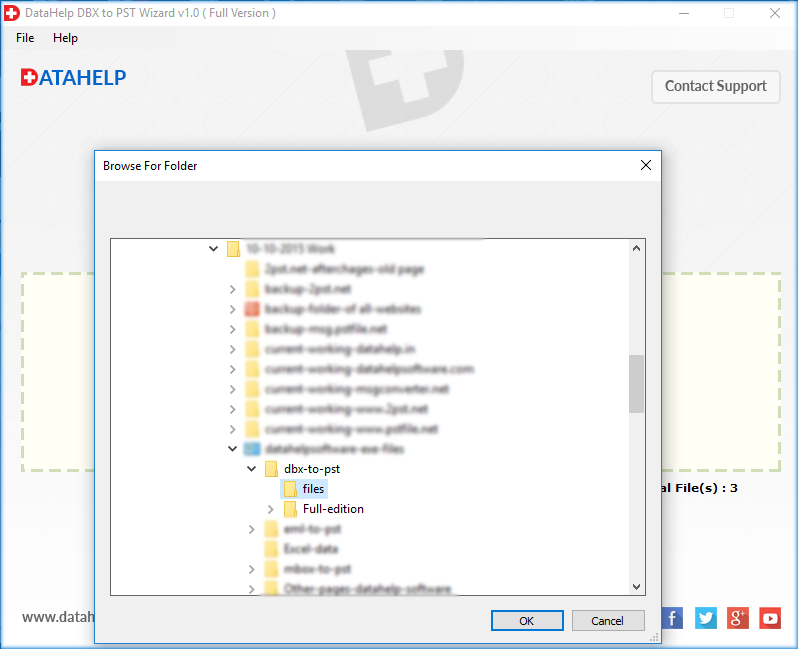 Moreover, a user is also allowed to import selective files or folders to PST also by keeping folder structure. 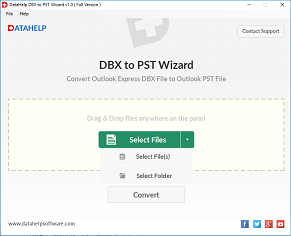 The DBX to PST converter tool provides Drag & Drop and Select File(s) unique feature to import DBX file/ files into software panel. Apart from this, the tool provides an option to create a single PST file for multiple .dbx files. If it is required, the software allows users to create separate PST files for each DBX. After conversion user import Outlook Express .dbx files into Outlook 2016, 2013, 2010, 2007, 2003, etc. The tool provides an option to split Output PST file by size. This option is helpful to manage the large size resultant PST file, a user can divide output file into smaller parts. Moreover, one can save the exported DBX files into PST format. However, DBX to Outlook converter software also allows users to save resultant files at any desired location. And it provides Create a Single (.pst) File option to save DBX emails into a single Outlook compatible PST. The demo edition of DBX to Outlook converter software will export only 10 items per folder. Can I use this tool without installing MS Outlook application? Yes, it is not necessary to install MS Outlook on a local machine to export DBX file to PST format. There will be no changes in migrations if a user does not have Outlook installed on his system, it still convert Outlook express dbx files to pst very easily. However, to open the resultant PST file it is mandatory to have Outlook installed on the system. Does this DBX converter wizard supports Mac OS X platform? No, you cannot use this Outlook express to Outlook converter on Mac OS X platform. It is completely a Windows based application and can be used on all versions of Microsoft Windows, including Windows 10. Does the software offer any option to deal with 2 GB file size in resultant PST file? Yes, with the help of this DBX file converter, you can easily import 2 GB file into Outlook, because the software creates a UNICODE PST file. 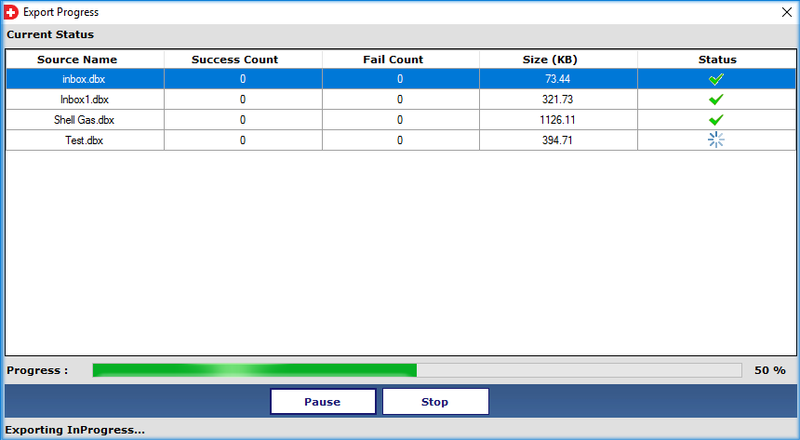 In case the size of output PST file will increase from 20 GB then tool provides split large PST file option to divide oversized PST file into smaller parts by size. 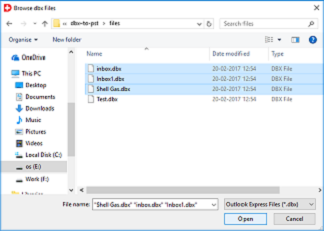 Is it possible to import inaccessible DBX file into Outlook using this software? 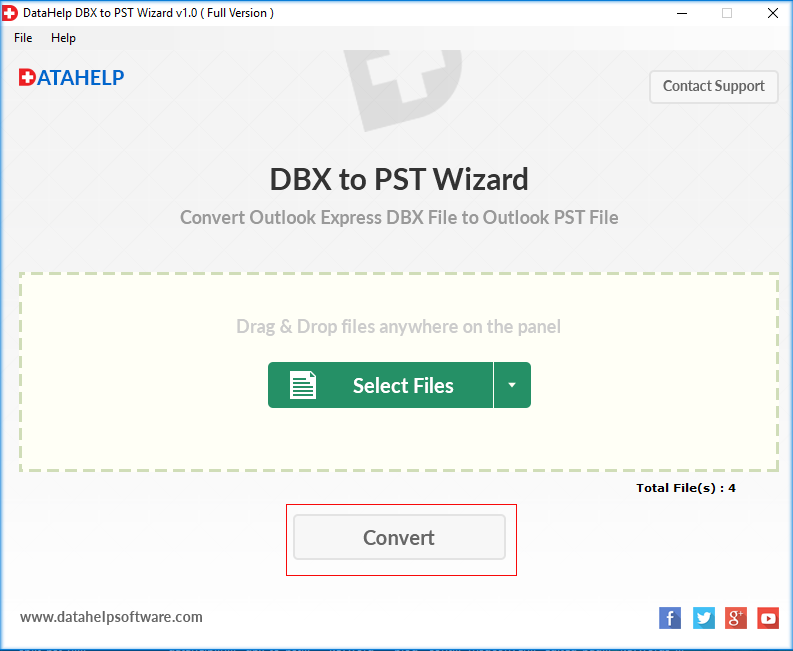 Yes, a user can use this tool to convert DBX file to PST file that a user is unable to accessible. Moreover, one can also access the emails again with the help of this software that are deleted by mistake by him. 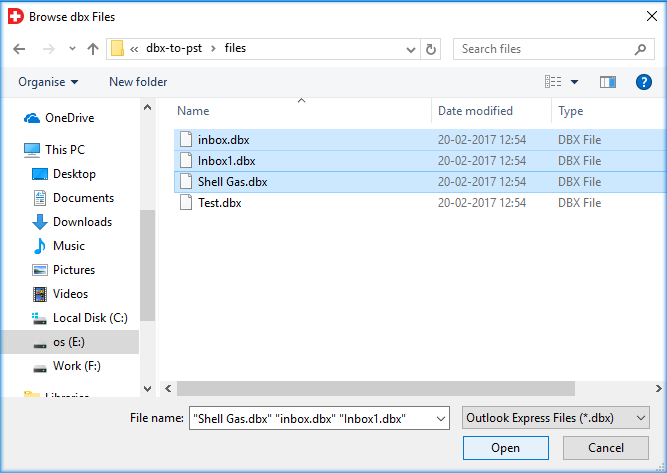 Does the DBX to Outlook converter impose any file size limitation while exporting DBX data to PST? No, it does not have any file size limitation, a user can easily export any size DBX file to PST without any hassle. After performing conversion of Outlook Express .dbx file by using the utility can I import into Outlook 2016? Yes, you can import converted DBX of Outlook Express into Outlook 2016, 2013, 2010, 2007, 2003. Software creates PST file which is compatible with Outlook 2016. 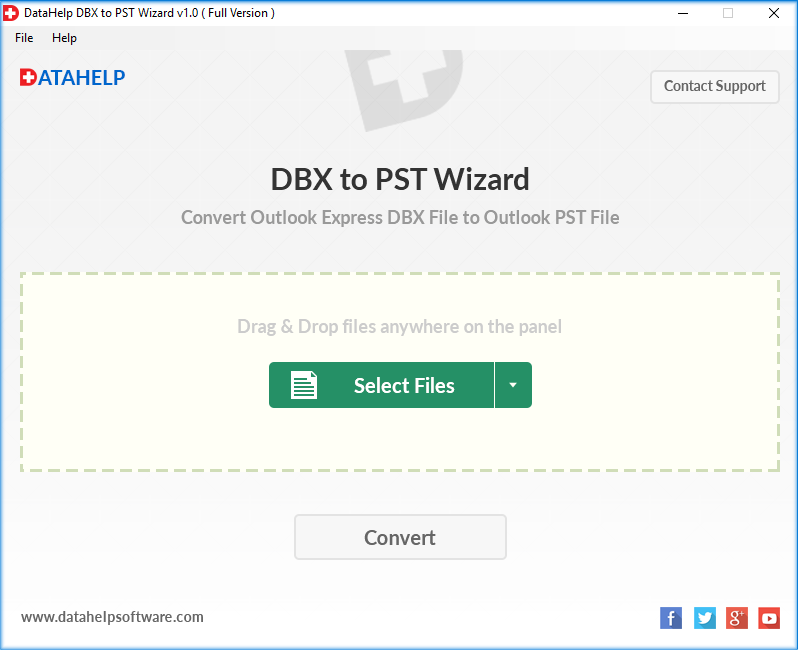 By using this Outlook Express converter can I create a single PST file for all .dbx folders? 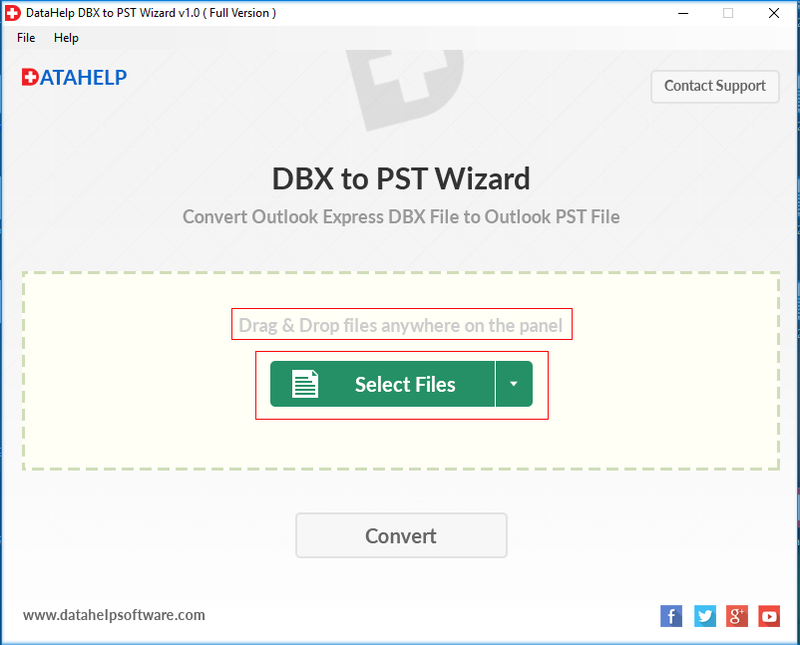 Yes, The Outlook Express to Outlook converter will export entire data of .dbx files into a single PST, to perform this task you need to check "Create a Single PST" option, then you will receive inbox, sent, outbox DBX emails into a new output PST file. Moreover, you can create a separate PST file for each DBX. "I can easily say that DBX converter tool is an amazing software. 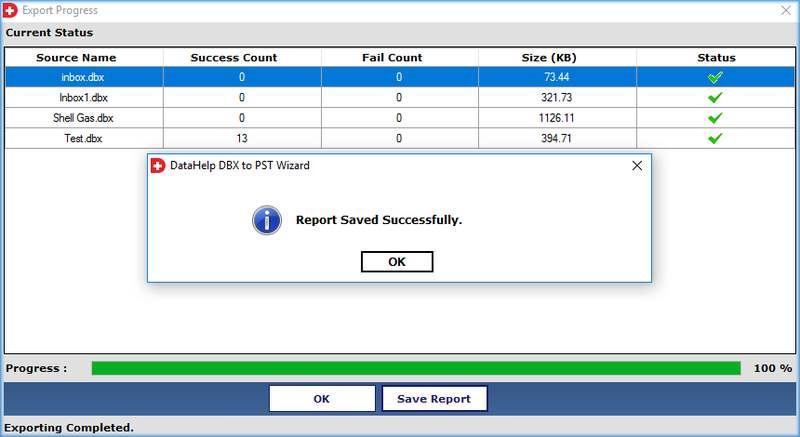 It is one of the best application that I have ever tried to convert DBX to PST format. 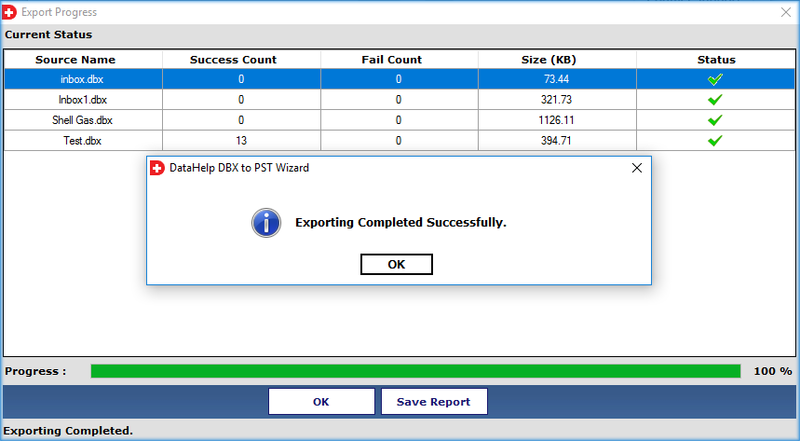 The beat part that I liked very much is its rapid migration facility to export multiple DBX file to Outlook in batch. Great Work was done by the developers in building an effortless utility for a user like me." "From past few days, I was searching for utility through which I can easily migrate from Outlook Express to MS Outlook. 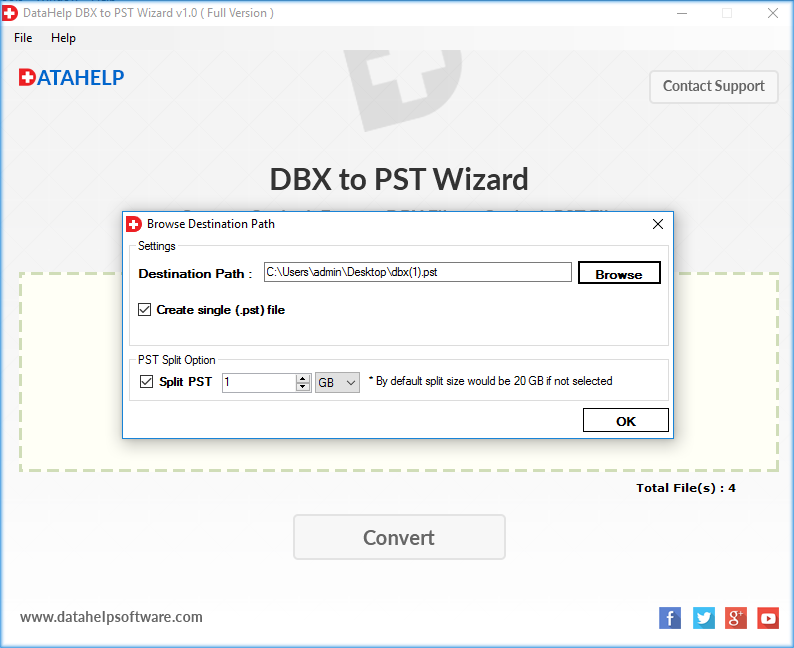 After a long search, I came to know about the DBX to PST conversion tool. It is an ultimate utility that easily export all my old emails from DBX file to Outlook PST file in a very reliable and convenient way. Thanks to the developer for this wonderful utility." "This is amazing DBX to PST converter software, it easily migrates entire .dbx folders (inbox, outbox, sentbox, etc.. mails) of Outlook Express into a single Outlook PST file. The wizard has done a fantastic work, and I would like to thanks for this product."